We run our in-house affiliate programme run via FinancialAffiliates.net. Competitive Payments - we offer competitive and tiered CPA commission schemes. A revenue share option is available to regulated parties. Remarketing Means Affiliates Benefit - when we remarket users referred to FinancialSpreads.com, our cookies don't write over affiliate cookies. I.e. we spend money on remarketing and affiliates still earn the commission. 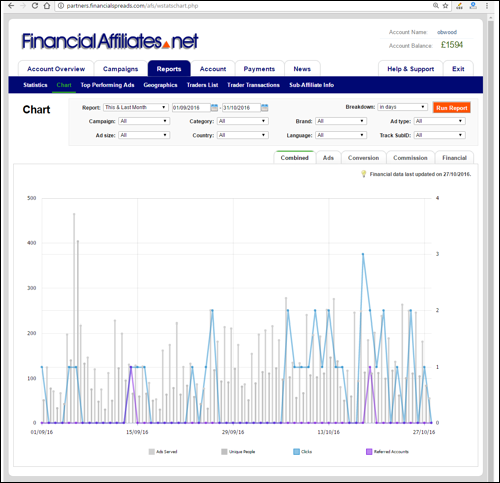 Online Affiliate Stats - these include clicks, impressions, new accounts (live and demo), trades and commissions. Affiliates can run multiple websites from one affiliate account and separate their data on a site-by-site basis. Strong Brand - established in 2007. 'Financial Spreads' is a good quality brand and that helps conversion rates. Trust - regulated by the FCA. Bespoke Landing Pages - there are bespoke landing pages for spread betting, CFDs, forex and commodities focused affiliates. Getting Started is Quick and Easy - it is quick apply to the affiliate programme and simple to get all the tracking links, HTML5 adverts, logos etc. User-Friendly Trading Platforms - this helps referrals become active. Mobile-Traffic Friendly Application Pages - both our Live Account and Demo Account (practice account) application pages are responsive, i.e. it's easy for users to apply via their mobile phones. 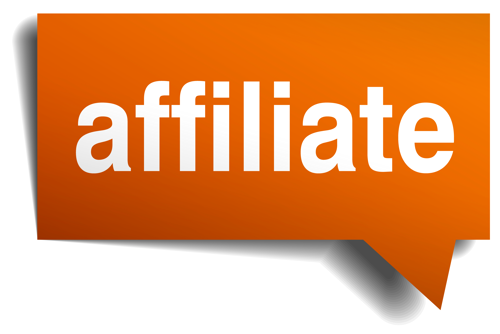 An Affiliate Programme Made by Affiliates - the program has been created by experienced affiliates, they have created a fair and balanced scheme. For more details and to become an affiliate, please see FinancialAffiliates.net.